'We abuse land because we see it as a commodity belonging to us. A new social enterprise in the Blackdown Hills, of which I'm a co-founder with others from the team who ran the Neroche Scheme. We are working together to make an area of Forestry Commission land near Taunton open to local and interested communities. Our aim is to create a more healthy and diverse area of broadleaf forest, and to help people become more healthy by being active in the woods. 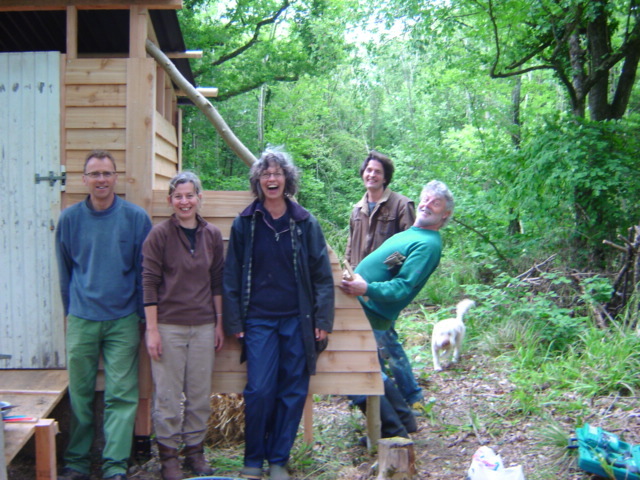 We run family forest school sessions, school sessions, volunteer programmes, coppicing, woody courses and and all kinds of activities that have a focus on wellbeing. Our base is a location called Young Wood, near the villages of Badger Street, WinterWell and Staple Fitzpaine. To find out more about events, membership and when you come and visit us, click here. We meet every term or so, and discuss all things to do with getting children, families and young people out of the classroom and into the woods! Our get-togethers are a mix of skill-sharing, updates on what is happening in the sector and ideas for how to spread the word further afield. We want to see schools getting excited about learning outdoors - and find ways that we can help. A few years ago we created a great little DVD about forest schools, find out more by getting in touch. 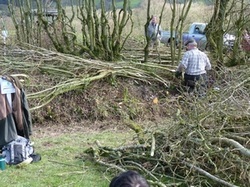 Since 1997 there has been an annual hedgelaying competition in the Blackdowns. Now, I'm not really a hedgelayer (although I do have a few billhooks and a chainsaw..) but I love our hedges and the folk who look after them. In 2004 I started helping with this wonderful annual event, and now I'm the person who organises the stalls, marquees and other stuff on the ground. It takes place on the second saturday in March, at a new location each year. Besides watching the old skill of hedgelaying with 60-80 competitors each year, there is food, woodland crafts, children's activities and a range of local stalls.